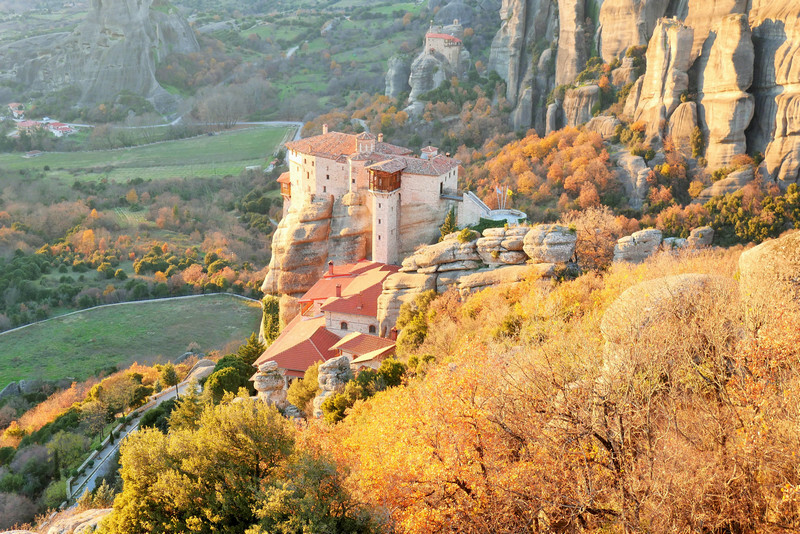 The views in Meteora are astounding. If Meteora were a person she would be that person that always takes a good picture, no awkward or bad photos, she looks good from every angle. I didn’t spend hours setting up this photo; I didn’t have a tripod or any special equipment, I just clicked and the magic was already in front of me. Whether you are up high at a Monastery or down on the plains, the views all around are spectacular. You know a place is truly enchanting when arriving at your hotel, all you can manage to do is just to sit on your balcony and admire everything around you. We had a beautiful hotel with two balconies, and I definitely took advantage of those spaces. 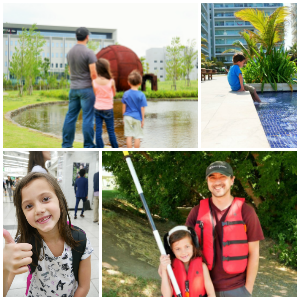 We were hosted at Epavlis Suites, and it was perfect for our family of four. The room had plenty of private space for my husband and myself and a fun loft above for the kids. 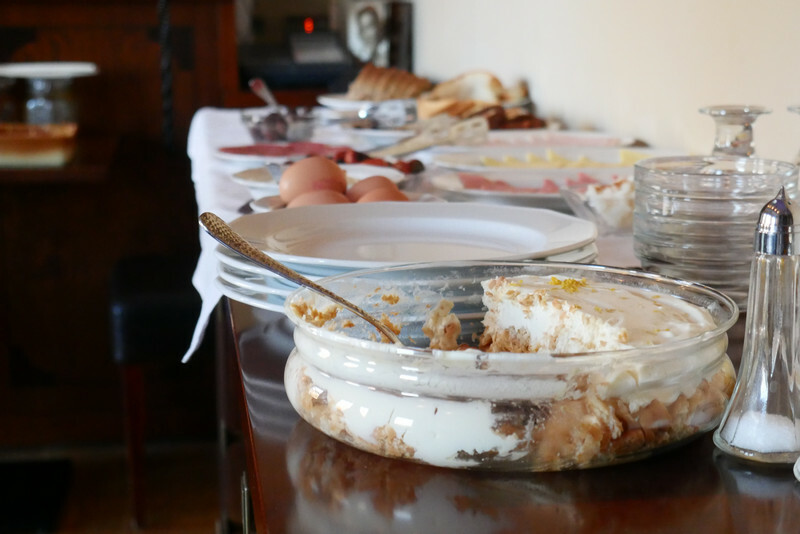 We thoroughly enjoyed the breakfast served in Epavlis Suites which consisted of a full spread of eggs, meats, breads, delicious Greek baked goods, and more! 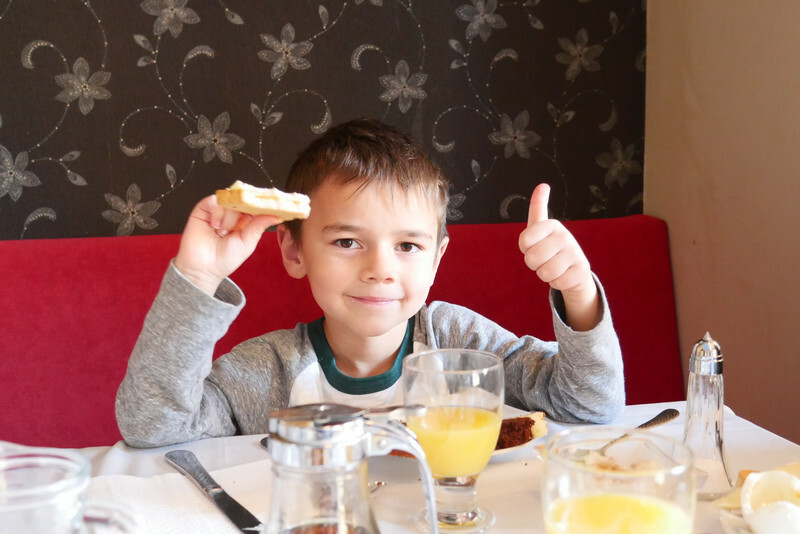 The kids couldn’t wait for breakfast and begged to head into the dining area every morning, who could blame them right? Epavlis Suites is situated perfectly, and we couldn’t have asked for a better place to enjoy the beauty of the area. If we had stayed at a hotel in the city, we would have completely missed out on waking up to such a gorgeous view every morning. The large family rooms also boasted a fireplace, kitchenette, and two TVs. As any mom can tell you, a kitchenette is a huge plus while on a family vacation. 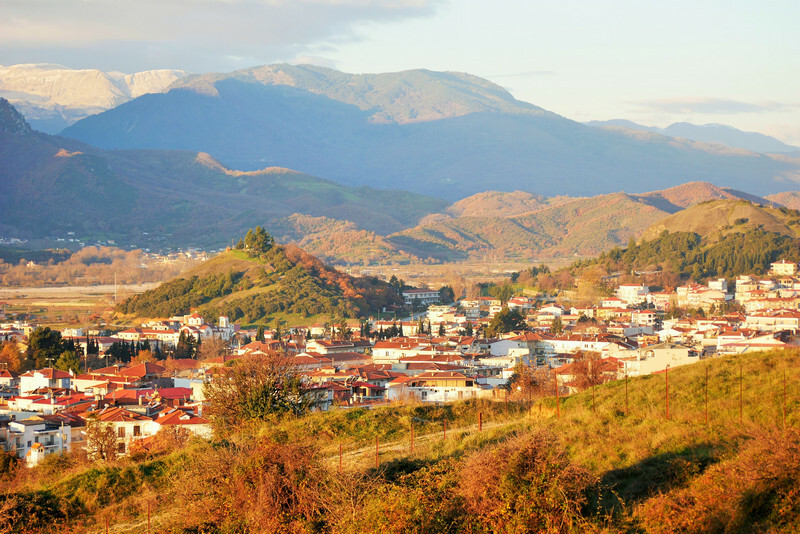 We were able to reheat our leftovers from all our amazing meals in Meteora, and it saved us from having to go in search of some meals. 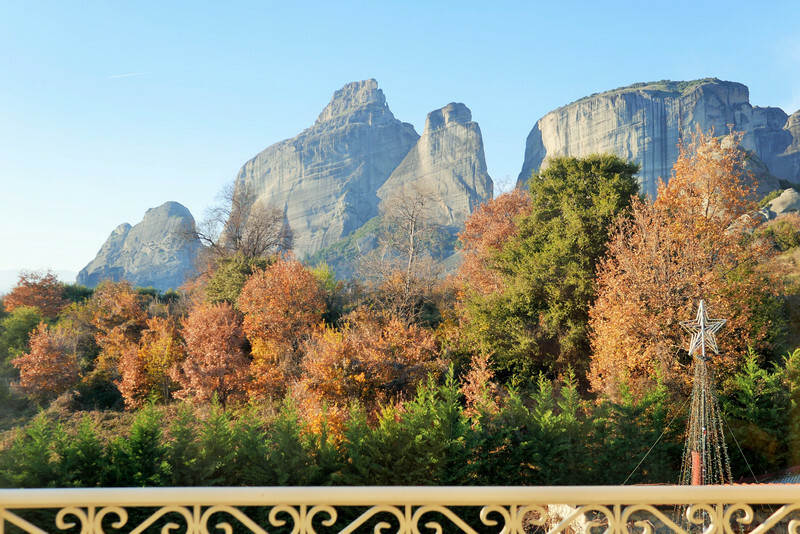 Epavlis Suites is about a minute away from the nearest store, 5 minutes from the nearest city, Kalambaka, and a 10-minute drive to the main attraction of Meteora; the monasteries. If there is something better than this, I can’t imagine it! Can you? Needless to say, now we have to come back in the summer! For a small donation, you can go inside most of the Monasteries. 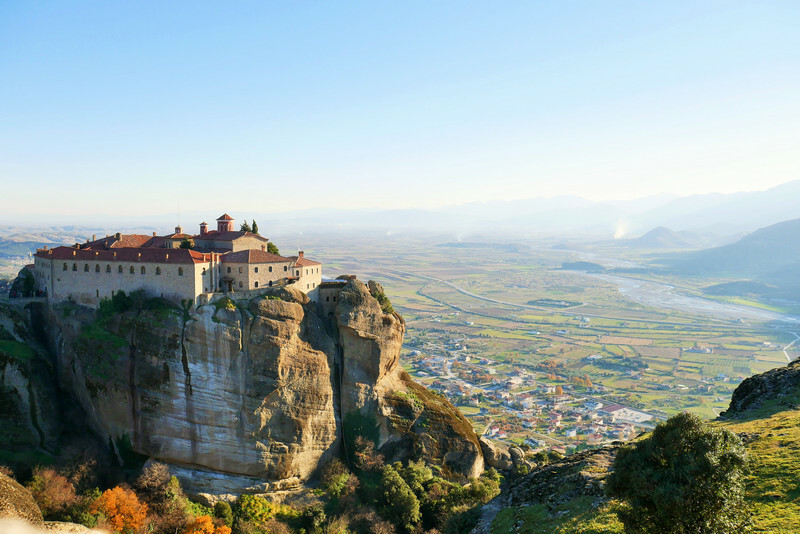 Most are now run by nuns, instead of the dedicated monks that built these masterpieces. It took the Monks decades to get just the materials to the top of these mountains. It was an honor to see these structures up close, knowing what it took to make them. Each one has its own feel and something new to look at, so make sure to plan out your time well to see as many as possible. 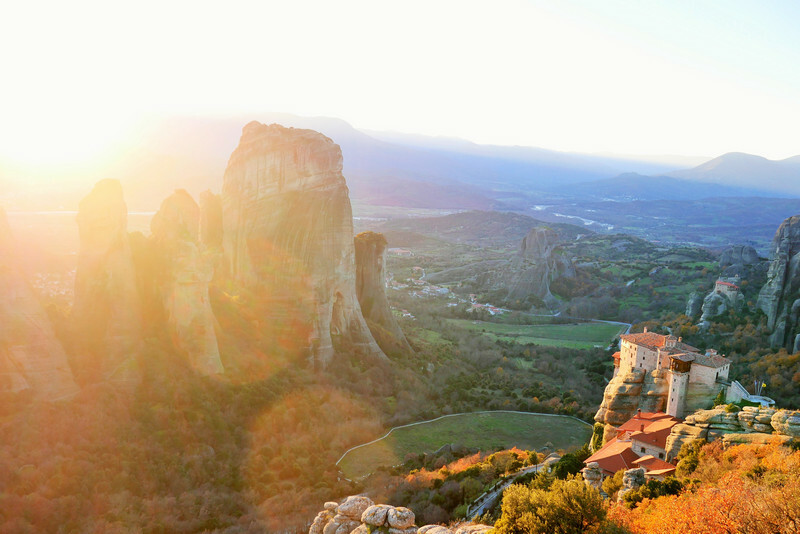 I would recommend heading to the Meteora Tourism office once you arrive to make a game plan to get the most out of your stay. 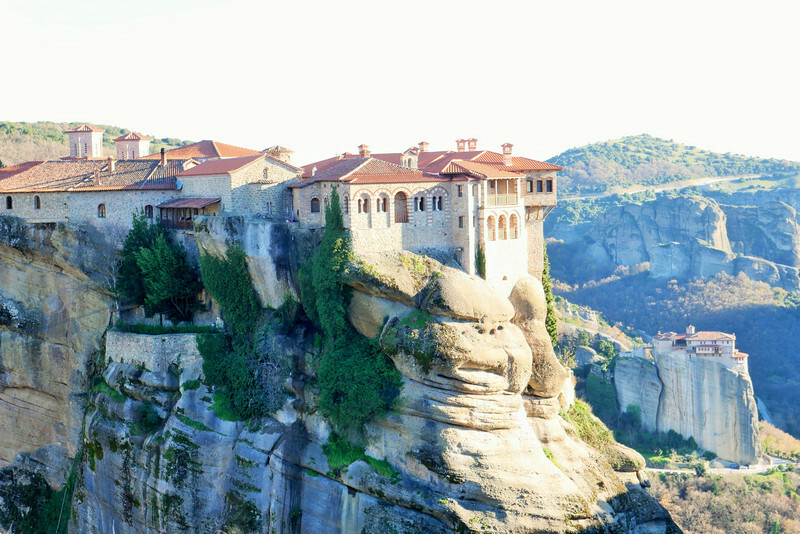 The Visit Meteora staff can be incredibly helpful in getting tours arranged, providing maps of the area, restaurant suggestions, and more! 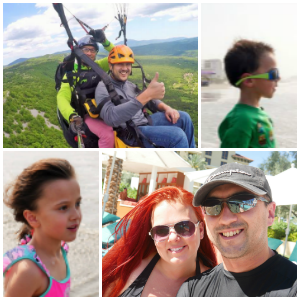 If you are looking for a little more family excitement, you can book a hiking tour, rock climbing, mountain bike tour, and more! One pretty cool activity for those with teens or older kids is the scramble. 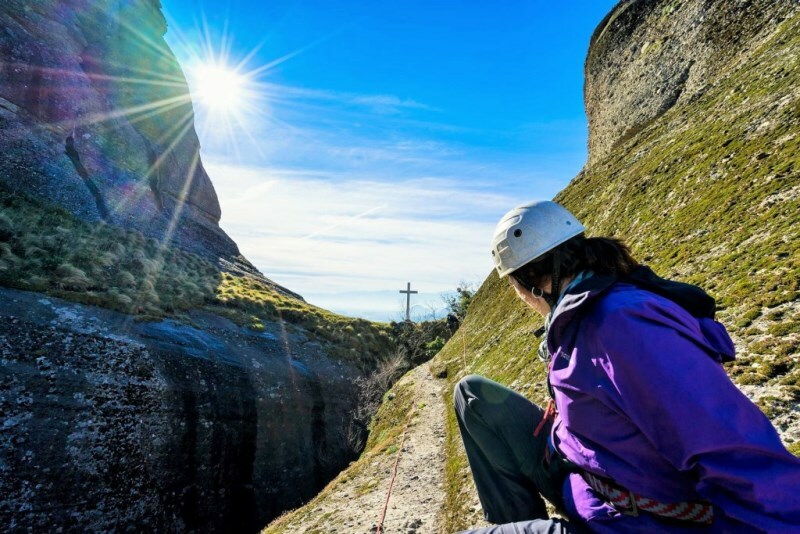 This is where you are connected with a line or rope, but you can get to walk along narrow vistas, bringing you right to the edge, but safely. 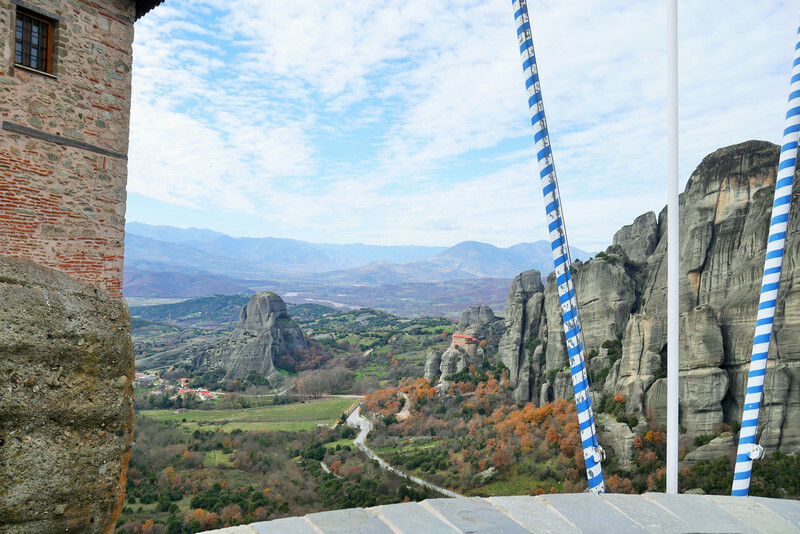 It's definitely a must do for those seeking a fun thrill while visiting Meteora. 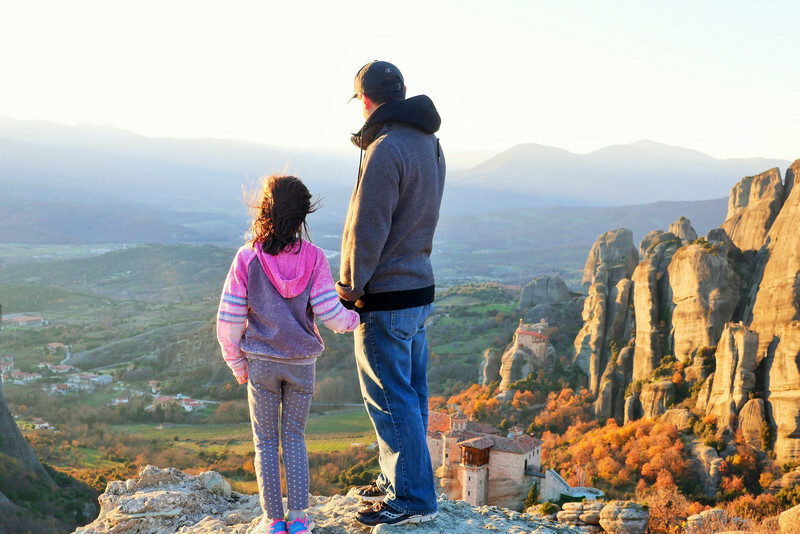 Meteora really is a destination for everyone, it holds so much for families, single travelers, and adventurers! 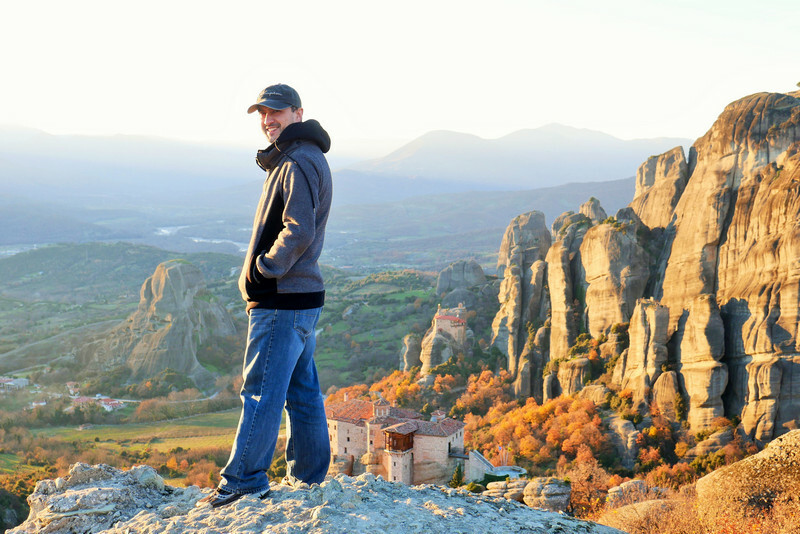 If you plan on visiting Greece, you must head to Meteora for a once in a lifetime experience you will never forget!